I recently saw the quote “Life less out of habit and more out of intent” (source unknown) and it really resonated with me, especially as I have been thinking about my goals and intentions for 2016. The concept of intention is one that I carry with me daily both personally and professionally. 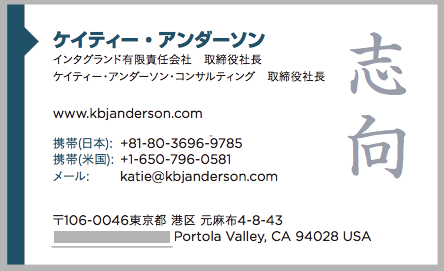 I chose the kanji characters for the word “intention” to be my personal symbol on my Japanese business cards. 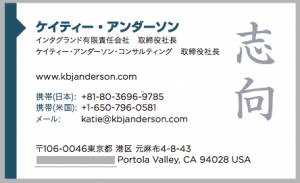 The back of my business card – in Japanese. As I’ve shared earlier, the kanji for “intention” in Japanese comes from the characters for heart and direction. When exchange business cards with people in Japan, the recipients comment frequently that they think this kanji for intention is a powerful word. And I agree! We talk a lot about creating new habits and practices to be able to be better leaders and individuals. How to create new habits is a popular topic at conferences and discussion posts on LinkedIn and other forums. 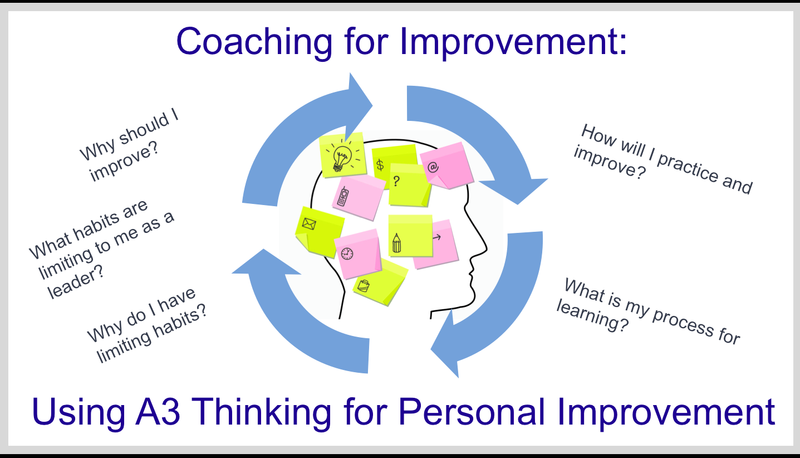 For example, last year I gave a plenary talk at the Australasian Lean Practice Summit on how to create new practices and habits to support a culture of continuous improvement, and my blog post about it was far and away my top post of 2015! I have found that bringing greater intention to how we want to behave and live is one of the most powerful steps in creating new habits, and overriding older habits that we don’t want to demonstrate any longer. This is where the quote comes in. I have found that I have become a better leader, coach, mother and spouse, when I have lived with more intent about who I want to be and how I want to behave. It’s through intent – and practice – that I have created new habits and have been more successful in achieving my goals. There are always more goals ahead, but it is the intention to make change that is the first step in getting there. My older son (currently in pre-Kindergarten) is currently learning about Japanese culture in his preschool’s annual 3-month Japanese culture immersion program. Sumo, omochi pounding, taiko and other traditions such as Daruma dolls are covered. 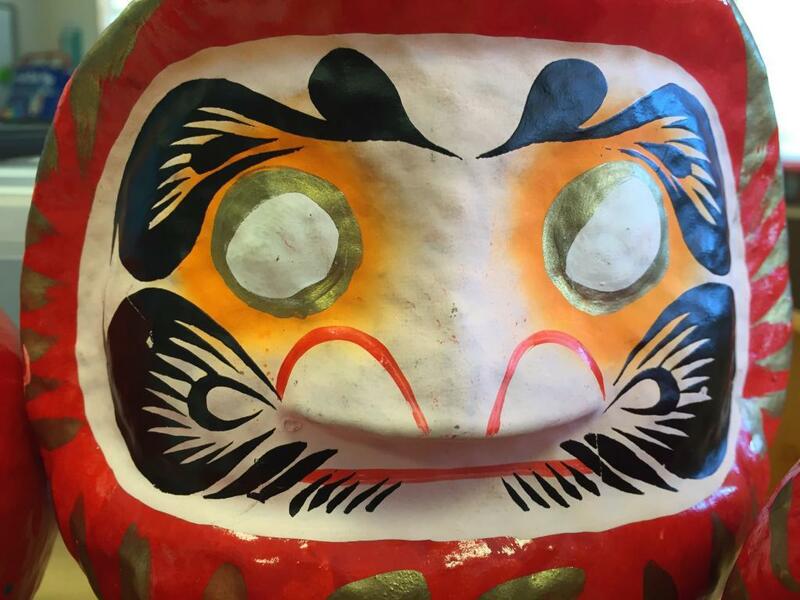 The concept of the Daruma doll is that the owner colors in one of the doll’s eyes when setting a goal. When the goal is achieved, the person colors in the other eye. The doll is supposed to be a visual reminder of the goal and help motivate the person. Daruma dolls can be found (big or small) in shops throughout Japan. I like these concept of setting a goal or intention, having a visual reminder of the goal, and then being able to celebrate success when the goal is achieved. I am going to go buy a Daruma doll of my own and color an eye in. I’ll check back at the end of June to see if I followed through on my intentions for the next six months in Japan. I have been reflecting on the quote “Live less out of habit and more out of intent” as it relates to my own life, particularly now that I have been living in Japan for a year and it looks like we only have six months left to our stay here. (We will be moving back to the San Francisco Bay Area as expected 18 months after our arrival in Tokyo). 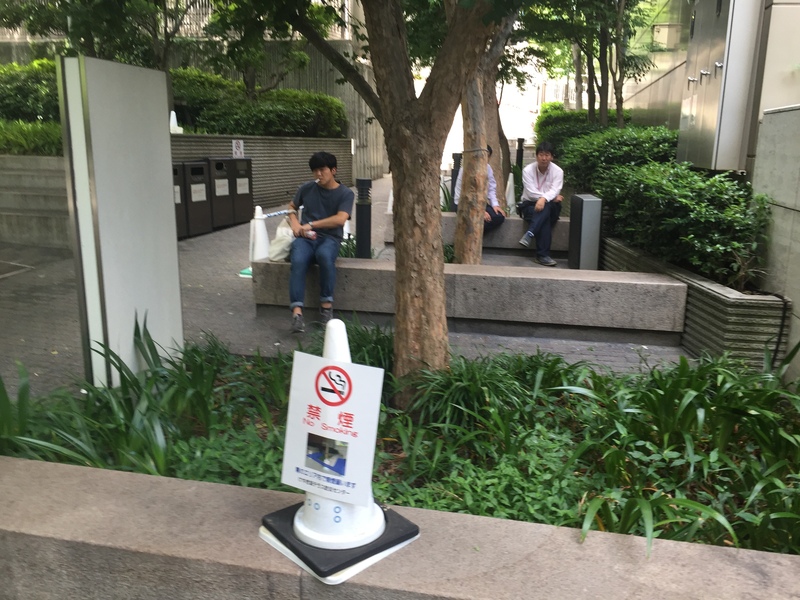 Last summer I wrote an article for the Lean Post (“Lean in Japan: An Outsider’s Perspective”) about how I’ve tried to be an “outsider with intention”. While I wouldn’t say that I’m now an “insider” to Japanese culture, I have over the course of the past year developed my own habits and routines. These routines of daily living are grounding and important, but I want to be wary of not living more out of habit than intent. It’s easy to fall into my daily routine of getting kids to school, doing work, writing posts, and exercise. All of these are great habits, but I don’t want to forget about what is my intent and if my habits are supporting my intentions or the other way around! Having spent time reflecting on my first 6 and 12 months in Japan, and looking ahead at the first half of this year, I’ve been thinking about how I want to spend spend these next six (and final) months in Japan. They echo the intentions that I set out when we moved here a year ago, but are more measurable now. 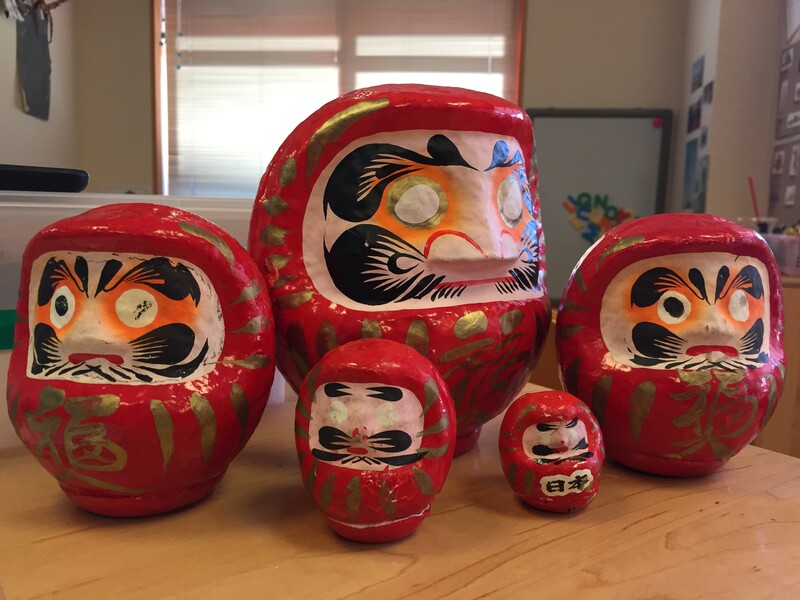 Here are my top 4 intentions….I may need to buy 4 Daruma dolls! Personally – make time to do something “touristy” – something new and outside of my daily routine – at least every two weeks (or more!). 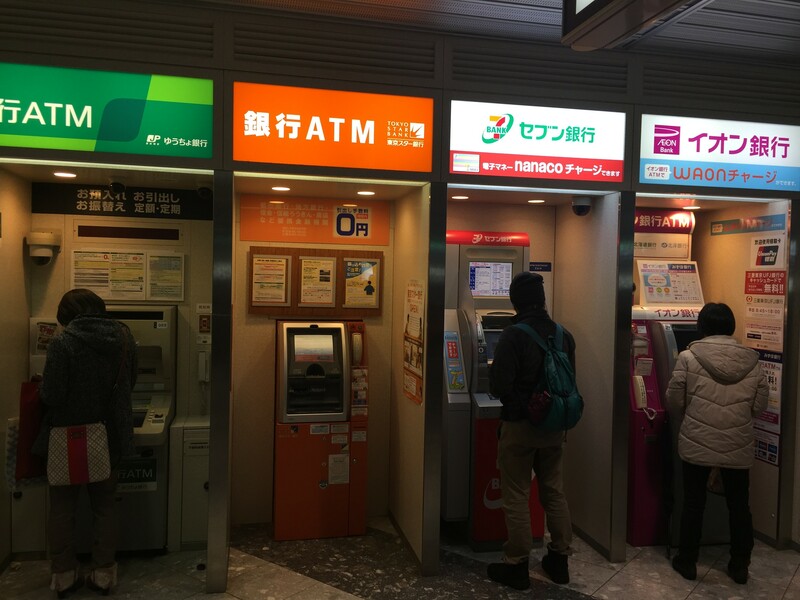 Professionally – make sure that I’m experiencing or learning something new about Japanese business practices, “Lean”, healthcare, leadership, and gender dynamics (the main topics of this blog) at least every two weeks. This includes gemba/site-visits and talking with Japanese business people. This is a refresh of an intention that I set nearly 20 years ago just after college graduation when I lived in London for just over a year. I knew my time in London was limited, and that without setting this intention, I ran the risk of 11 months later realizing that I was about to leave the city without having done many things outside my daily routine. So, this intentional goal drew me out of habit and reminded me to make time to go to a theater show, visit a new part of the city, go to a museum, etc. Setting this intention had a powerful impact of not letting me always live by habit. And in fact, I created a new habit of being a “tourist” every two weeks. Write 1 blog post (or more) a week, with some flexibility given during time of travel. Total for each month should be at least 4 posts per month. As I shared in my reflections about 2015, it sometimes is hard for me to find time to write, and I am intentional that having experiences trumps writing about them. But creating the habit and discipline to write has been rewarding to me. I value the reflection time that it forces me to have and the community that I have become connected to through my blog. 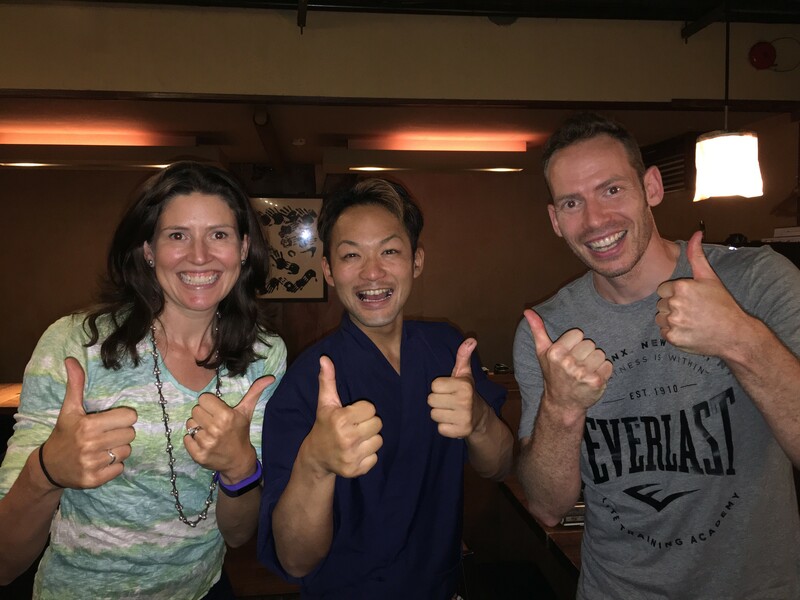 This includes the coaching work that I do remotely for one of my healthcare clients in the U.S., teaching classes on behalf of the Thedacare Center for Healthcare Value back in the U.S., and finding other ways to help develop people here in Japan. For example, this spring in Tokyo I’m teaching a Lean leadership class at Temple University in April, and I’m putting together of a tour of a Japanese town that prides itself on using 5S and Lean leadership principles throughout the city in May (more info coming soon). If you are in Japan – consider attending one or both of these events! This goal is harder to measure. My process measure is that I intend to have at least two tutoring sessions per week (though of course travel and other plans might sometimes impact that). My outcome measure is more qualitative – I want to feel like I can communicate without having to think as much, and be able to respond to more people in deeper conversations. 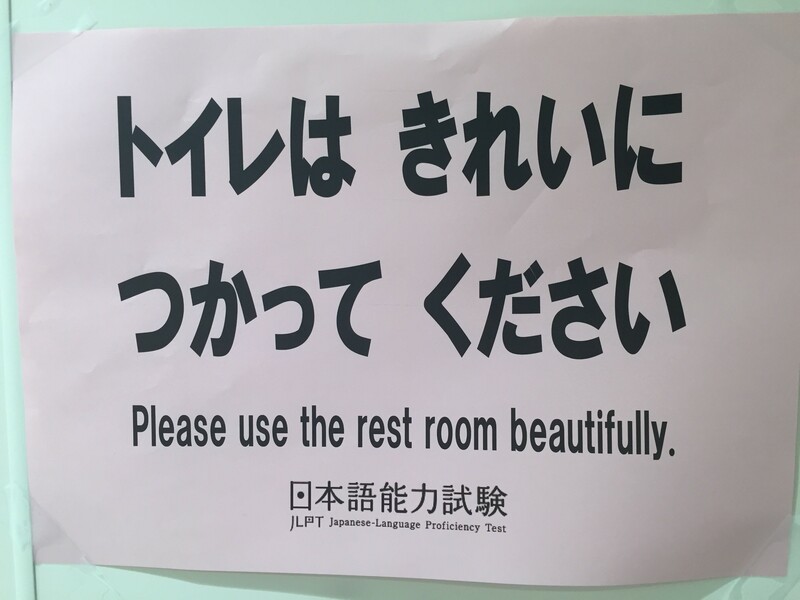 Even though I may not have many opportunities back in California to use the Japanese that I have learned, I don’t want our departure date to influence my intention to learn as much Japanese as I can while I’m here. Every week I’m able to talk more and more, and my reading speed increases, expanding my ability to have more unique new experiences (per Intention #1). So, these are my intentions for the first half of 2016. What are yours? What is your intent as a leader at work? What is your intent in how you want to live your life? If you enjoy this blog, consider signing up to be notified when new posts are published. Don’t miss out on future posts about lean, leadership and life in Japan. Thank you for those who are already subscribers!